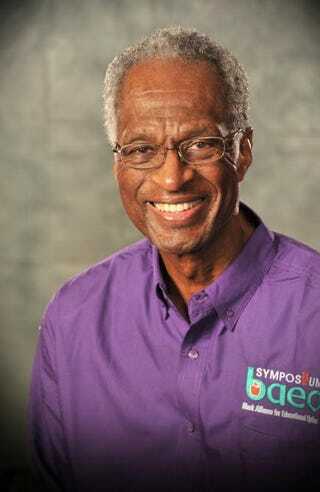 Howard Fuller, the renowned educator and co-founder of the Black Alliance for Educational Options, has fought for equal education rights for decades. He also believes that America lies to its children. Fuller, a Distinguished Professor of Education and the founder and director of the Institute for the Transformation of Learning at Marquette University in Milwaukee, has long been a supporter of school choice for parents and of vouchers, as well as other controversial educational-reform policies. But it is the lack of political will that Fuller has grappled with for most of his life. And though sometimes discouraged, and feeling that nothing has changed or will change, the veteran educator—who has counted Malcolm X among his biggest influences—continues to fight on, accepting the struggle for what it is. Fuller covers much of his journey in his recently published autobiography, No Struggle, No Progress: A Warrior’s Life From Black Power to Education Reform, taking his readers through those days growing up with his mother and grandmother and continuing all the way up to his current position as a highly recognized educator. The professor doesn’t recall exactly how or when he became so deeply involved in education and education rights, but he knows that he has his mother and grandmother, and their intense involvement in his life and education, to thank for his passions. However, while some educators may tout education as the solution to most problems, from poverty to other injustices, Fuller looks at it a bit differently. Education is strictly a means, a way of equipping oneself. “What education does is it gives individuals a way to change the trajectory of their lives. But you would hope that those of us who get an education wouldn’t just be interested in changing the trajectory of our lives but changing the trajectory of our people’s life,” the professor said. “Education alone in America guarantees you nothing, but I will guarantee you, you will have nothing without an education,” Fuller often tells students. The way he sees it, education is a way to give you the skills you need to exercise your freedom, and so his mission is to make sure that every child has the best education possible. “I don’t want to ever overstate what education can do, but I don’t want to understate it,” Fuller said. “Education is extremely important. Education alone isn’t going to help the conditions of our people, but I don’t see how that condition changes without education. To do that, Fuller explains, classrooms have to adopt teaching methods that reach children. “We’ve got to constantly try to figure out what is the best way to ensure that kids learn. We need a variety of different approaches for kids. Kids are not cookie-cutter, and so the process that we use for educating them can’t be cookie-cutter,” he said. If children aren’t cookie-cutter, then Fuller’s tactics to ensure educational equality can’t be, either. He acknowledges that along this journey, his strategies remain flexible. As a result, the battle scene may change, allies may become enemies and enemies may become allies, but for Fuller it’s all about furthering the cause and not losing sight of the ultimate goal. “I fit wherever I think I need to fit to advance the struggle of our people, and I’m not going to be pigeonholed. So some people say I’m a radical, [others say] I’m a lackey; question is, how do you become both of them? What I would hope young people in particular reading the book would understand is that on the path of struggle, you will deal with a lot of contradictions in your life, but you have to be grounded in what it is you’re trying to do,” Fuller said. “I’ve always been grounded in what I’m trying to do, and what some people would view as an issue of principle is, for me, an issue of strategy and tactics. For more information about Howard Fuller and his book, go here.